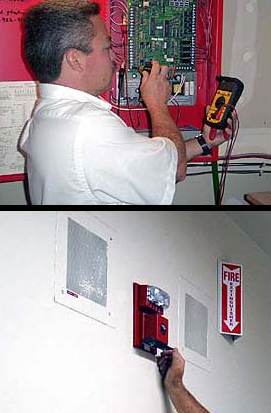 Service and Inspect Fire Alarm Systems Both 110 and Low Voltage. The FACP (Fire Alarm Control Panel) and its components constitute one of the most significant fire safety devices available. The FACP has been proven to be save lives and property by alerting both the occupants of the structure and the local fire department of the fire emergency situation.